Shalivahana was a commoner who became king, a rare event in ancient India. He grew up as a poor widow's son, in a poor potter's family. A holy man is said to have foretold that he would be king one day. As a youth Salivahana broke-up the gangs that robbed traders' caravans. The people of what is now Kotilingala on the bank of river Godavari, in Telangana region made him king. Victories followed and he created a prosperous kingdom and this had been continued by his successors by forming the Satavahana dynasty.On this king name "Shalivahana Era" has been established by the great Satavahana ruler Sri Goutami putra Satakarni who was one of the descendants from Shalivahana family. The Shalivahana era, also known as the Saka era, is used with Hindu calendars, the Indian national calendar, and the Cambodian Buddhist calendar. Its year zero begins near the vernal equinox of 78.The Shalivahana calender is used by Telugus, Gujarathis,Maratis,Kannadigas and konkanis . 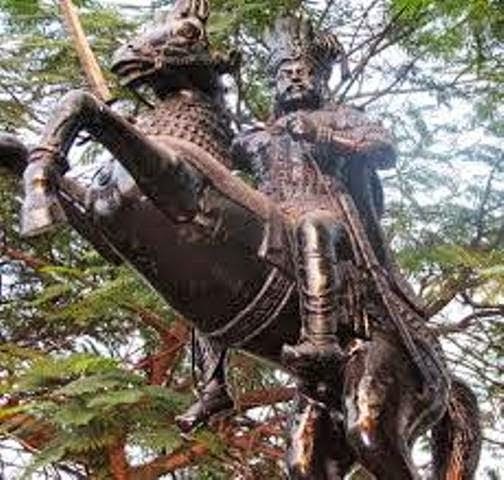 The Satavahana king Gautamiputra Satakarni is credited with the initiation of the era known as Shalivahana Saka to celebrate his victory against Vikramaditya of Ujjayani in the year 78A.D . Gautami putra Satakarni has been established this era on his great ancestor name i.e "Shalivahana". 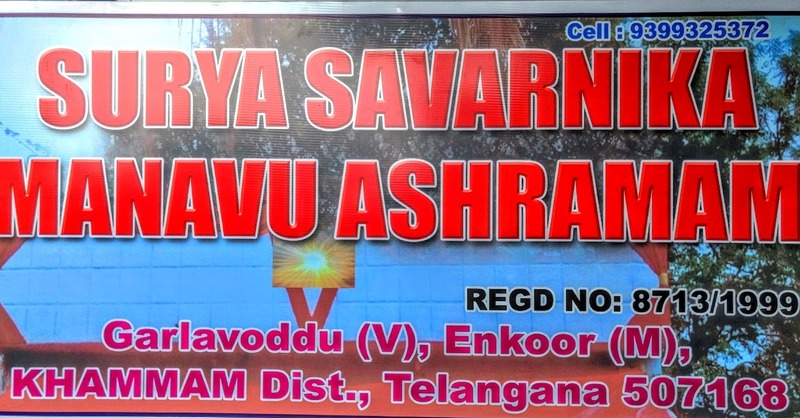 the founder of Satavahana Dynasty . “ In earlier days There was very learned Scholor and Warrior called Naga Raja .He belongs to Naga Dynasty. At the right age he got married. But the astrologers told him that a son born to him in the month of Chithra on a Friday and with the star Rohini after twelve years would become one of the greatest people on earth. So he immediately left his wife and undertook a pilgrimage for twelve years. He was returning on the appointed night to home to meet his wife. There was a sudden floods and he was stopped in Kotilingala village which situates at shore of river Godavari . There he told about his problem to a potter. The potter told him that he has an unmarried eligible daughter who would be willing to bear his child. That night he spent with the potter’s daughter and later went home. After ten months the potter’s daughter bore a son and he was named as Shalivahana. (1) According to Nilkant Sastri in the first half of the first millennium B.C. the process of basic change, in the nature of Indo-Aryan languages, was at work. In this period the Aryan languages were coming nearer to Dravidian and Kol (Munda or ancient Dravidian) languages and the Indo-Aryan, Dravidian and Kol languages were intermixing. Words of similar meaning or synonymous of both the languages were coming together to form new words such as ; Kol-Sāta, Sāda, Shāli means Ghora (horse), similarly the word Ghot or Ghora (horse) was derived from an unknown non-Aryan origin word Ghutra or Hotra and from the combination of these words (Shali and Hotra), the sanskrit word Shalihiotra (Ohora or horse) has been formed. (2). All the three names viz Sātavāhan, Sādavahan and Sālivahan are of the same family and the words Sāt, Sād or Shāli, the prefix of these names are of Kol origin and they meant horse. Why these words were added to their family name by the Satavahanas. Cunningham has given another story- Sāta or Sāli was the name of a Yaksha, who thus acquired the title of Sātavāhana or Sālivāhana. ? In doing so they certainly must have followed the cultural tradition of their fore-fathers. It means there was some close relation of Satavahanas with the horse. In fact the relation of Nagas of Megalithic culture with the horse was surprisingly very close. This truth has come to light from the excavation of sites like Mahurjhari, Junapani, khapa, and Takalghat. Dr. S.B. Deo has derived very interesting conclusions in the excavation-report of Mahurjhari. He annotates as such, "The association, of horse bones and ornaments and horse riding equipments with human skeletal remains, shows that this animal played an important role in the life of Mahurjhari Megalithians. It appears that they were skillful horse riders and possibly belonged to a - warrior clan, This view is further corroborated by the mode of burial of the dead warriors in megaliths of LOC III in which a dagger with an iron blade and copper hilt was found to have been placed on the chest of the person. The material equipment implies that Megalithic folks were predominantly iron-using warrior groups. The horse kits found with the horse remains implies that these folks were raiders." Such a character of Megalithians IS not different from Satavahanas. (3).Dr. S.B. Deo on the basis of carbon C-14 dating has fixed the period of Mahuljhari findings as first millennium B.C., when this family came into power. Hence it shows that the progenitors, of this family were efficient horse riders and a great warrior clan; that is why the aforesaid prefixes have been used to their family name. This is further confirmed by the view of Jayaswal who says that indigenous Naga people used to organize themselves into guilds or republics whose every member was a great warrior. They were, infact, a Nation-in-Arms. The above conclusion, very clearly indicates that the people of megalithic culture and Satavahanas were of one and the same culture and they were Naga in origin. The horse not only played an important role in their lives but this was their close associate member. This importance given to this animal by the Satavahanas, was inherent; that is why they gave so much importance to this animal. It is possible that this importance may have inter-related with some historical event, lost in the long darkness of history. (1) According to Jain Muni Jin-Prabha Suri word Sanoti (Sat) means to donate, hence Satavahana means who donated Vahanas or vehicles. (2) The word 'Vahana' is a Sanskrit form of" Han" or "Hapan" of Munda langauge which means son. Therefore Satavahan means son of horse. (3) According to Kankasbhai the words Vahana and Karni (of Satakarni) are synonymous which means elephant. Therefore Satavahana means that one who has hundreds of elephants. (4) According to Smith in the names of many of the Satavahana kings, the pre-fix 'Sati' is a corrupt form of 'Swati'. "Swati " means sword. Therefore Satavahana means "person who wears or holds sword." (5) Sometimes the word 'Sat' is taken to be 'shat' which means hundred. Therefore the word Satavahana is explained as "the lord of hundreds of hills or mountains. " Since they were fords of hilly region of N.W. India, hence it seems much nearer to historical fact such as Takshila means "rocks-of Takas"
The most reasonable and acceptable viewpoint is presented by Jogalekar. According to him "Sat is a corrupt fonn of 'Sapta' which means seven. 'Saptavahani' is one of the names of sun, thus Satavanana was a Suryavanshi king, seven horses are the vehilcle of sun. The coins of Satavahana have a symbol of sun or Surya, known as 'Ujjaini symbol' the'S' of Satavahana can be related to its Prakrit form 'sattavahani' (Sanskrit, Saptavahan). Skand Purana Saptavahana is the name of Surya (Sun)". But Jogalekar does not produce any evidence in support. According to inscription of Kanswa, found from a well near river Chambal sout of Kota, King Shalindra calls himself of Surya race, and of Taka vansha. Prine Saliahana the Proogenitor of the royal family, was also Taka vanshii. Salindra was king of Salpoor (409 AD). Theese people of Sarya family were famous among other tribes. The view that Nagas were of Suryavansh) gets support of Oldham. It is obvious that these were the same Takas of Panjab who met Hieuntsang. They were lord of Malava and were also known as Surya. The land between the valleys of Satluj and Beas, in the neighborhood of Himalayas is also known as Saraj or Sewaraj. The chief deity of these people of this area is serpent or Naga and all of them worship this deity. IN ANOTHER ANGLE OF THE YAGNAM(HOLY RITUAL FIRE). CONTINUING YAGNAM (HOLY RITUAL FIRE),BY MADDIGUNTA NARASIMHA RAO @MANAVU,(YAJAMANI)Smt. ARUNAKUMARI MANAVU (PATNI),K.SURENDER, MASTER ABHAI(PARTICIPANTS),SRI SRINIVASA CHARYULU,(RITUAL HEAD),SRI,NARASIMHA CHARYULU, B.NAGARAJA CHARYULU(SAHAYAKAS),&BHADRAIAH(DEEVITI CARRIER) AT SRI LAKSHMI NARASIMHA SWAMY TEPLE MUKAH MANTAPAM,AT GARLAVODDU (V), ENKOOR (M), KHAMMAM (Dist) A.P. INDIA. APPEARENCE OF LORD LAKSHMI NARASIMHA SWAMY IN THE FORMOF GANDA BHERUNDA (HOLY EAGLE IN YAGNAM AT ABOUT 8-27 P.M. ON 08-05-2012. OM NAMO BHAGAVATE YAGNODBAVA GANDA BHERUNDA NARASIMHAYA NAMHA!PAAHI MAAM! PAHIMAAM1 RAKSHAMAAM! RAKSHAMAAM!. BEFORE COMPLETING HOLY RITUAL FIRE. OFFERING PRAYERS BY MANAVU &OTHERS. The History and miracles of of Sri Lakshmi Narasimha Swamy Temple Garlavoddu village, Enkuru Mandal, Khammam District. Telangana, India. The Garlavoddu LakShmi Narasimha Swamy Temle is one of the famous temple in Khammam district. 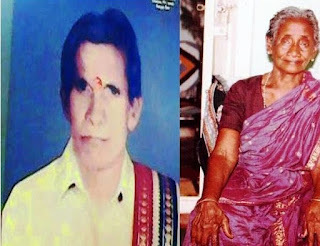 The temple was founded by late Sri Maddigunta Tirupataiah, and presentlly it is under the management sri Thirpataiah's son Sri Maddigunta Narasiha Rao who has been recognized as Founder Trustee by the Andhra pradesh Endowments Department. about Lord Lakshmi Narasimha Swamy Avataar. WE ARE THE DEVOTEES OFLORD SRI LAKSHMI NARASIMHA SWAMY AS WELL AS LORD NAGENDRA SWAMY . 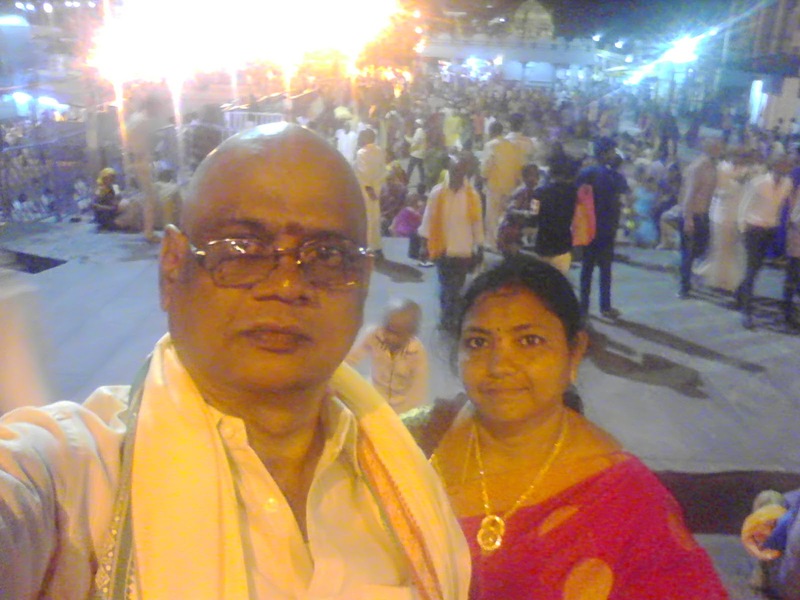 TO KNOW ABOUT THE DETAILS OF OUR FAMILY & OUR FAMILY DEITIES PLEASE CLICK ON THESE LINK http://ssmanavu.blogspot.in/2012/11/blog-post_4494.html,. Yadadri@yadagiri Lakshmi Narasimha Swami Temple is situated at Yadagiri Gutta in the Nalgonda District, Telangana State, India. It is a Famous Hindu Temple In Telangana State and dedicated to Lord Lakshmi Narasimha Swamy the fourth avatar of Lord Vishnu. It is nearly 60 Kilometers distance from Hyderabad city which is capital of Telangana State. Daily number of devotees from various part of the native state and country visits the temple . The Temple got specialty, being deity Lord Lakshmi Narasimha appeared in 5 forms here. The 5 forms are (1). Jwala Narasimha Swami (2). Yoganada Narasimha Swamy (3).Gandabherunda Narasimha Swamy, (4). Ugra Narasimha Swamy (5). Lakshmi Narasimha Swamy. So this holy place is called as "Pancha Narasimha Swamy kshetram which means a place of five Narasimha forms . About Khammam Stambhadri Gutta Lord Lakshmi Narasimha Swamy Temple. Traditional Marriages are made in heaven while Dynamic Marriages are in Hugs and Kisses only.